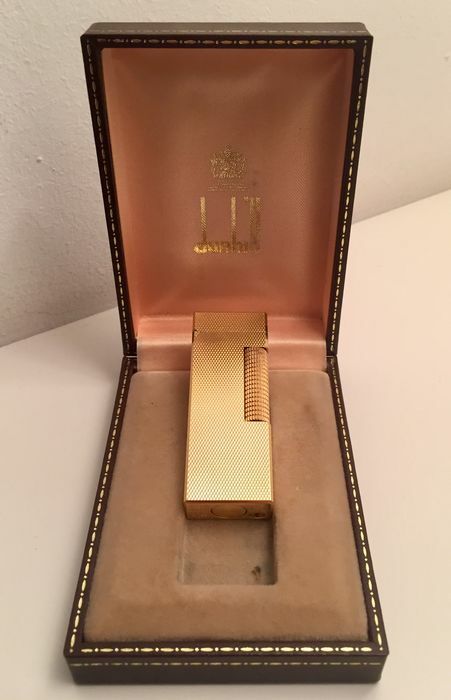 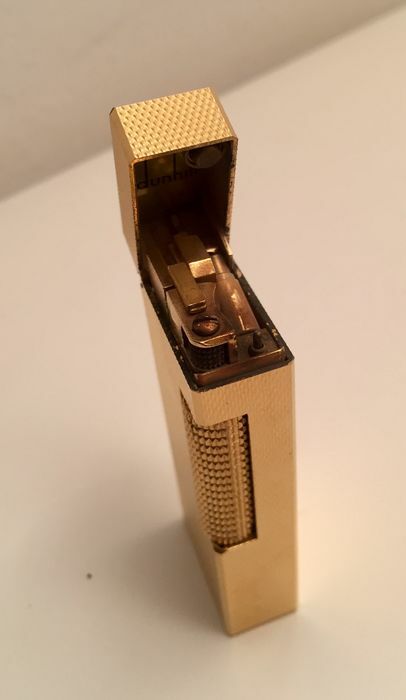 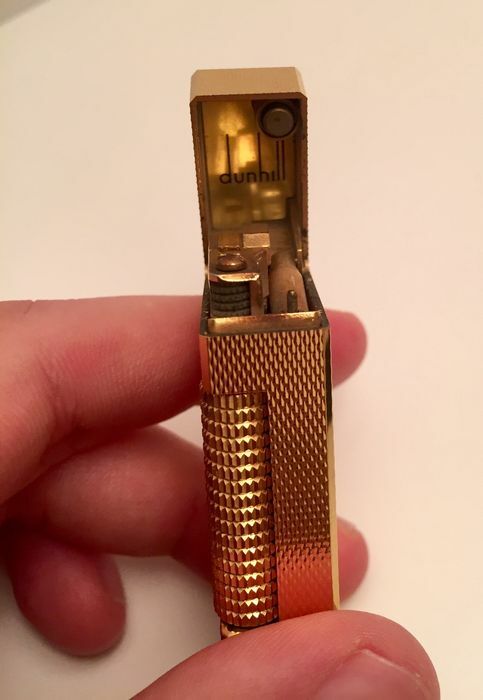 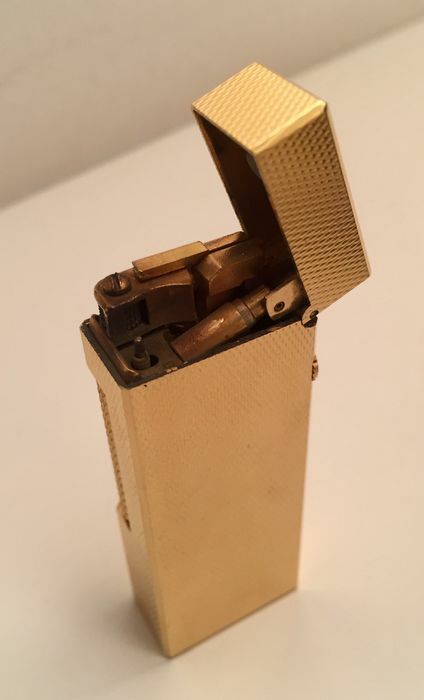 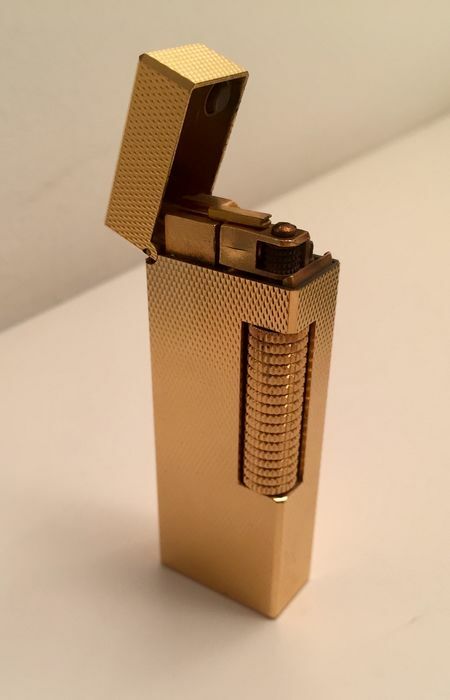 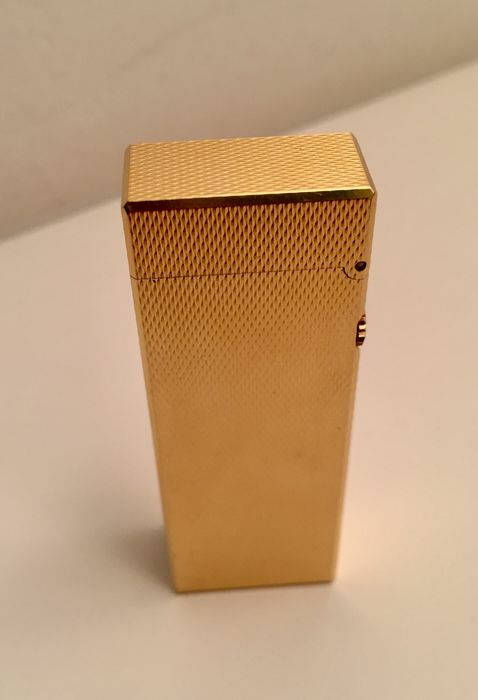 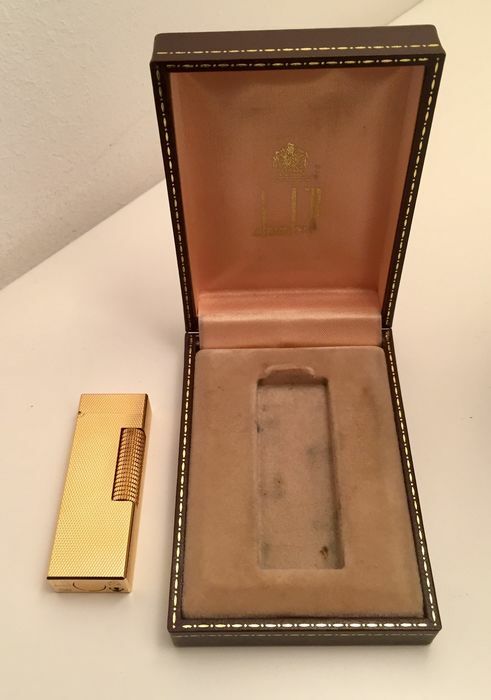 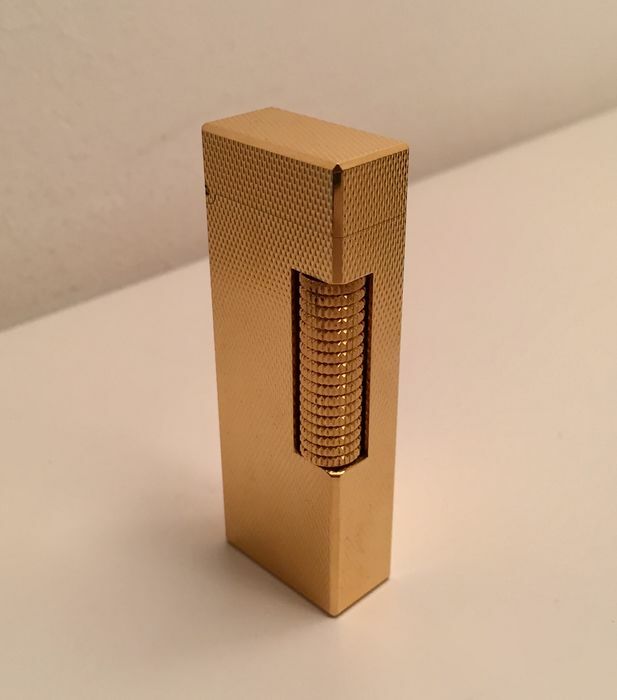 Dunhill lighter, historical model "Rollagas" dating to the early 80s, with elegant rice seeds-shape decoration, gold-plated. 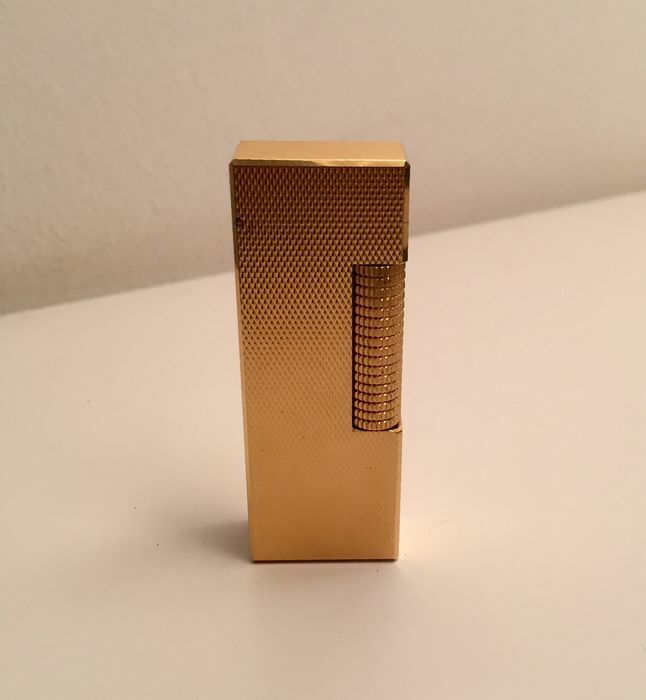 Size: 64 mm length, 22 mm width and 10 mm depth. 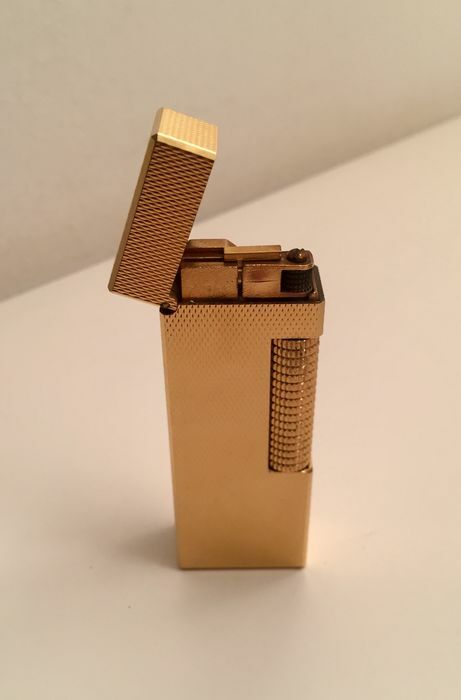 Weight 79 g approx. 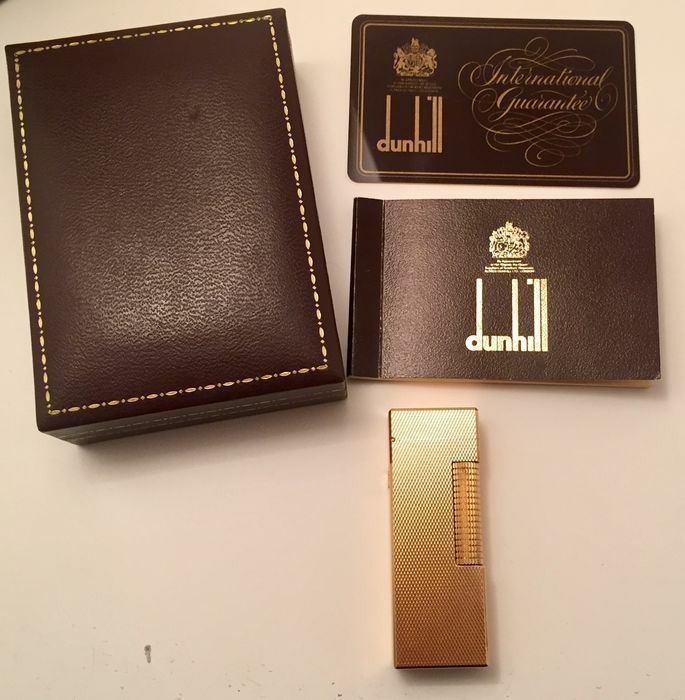 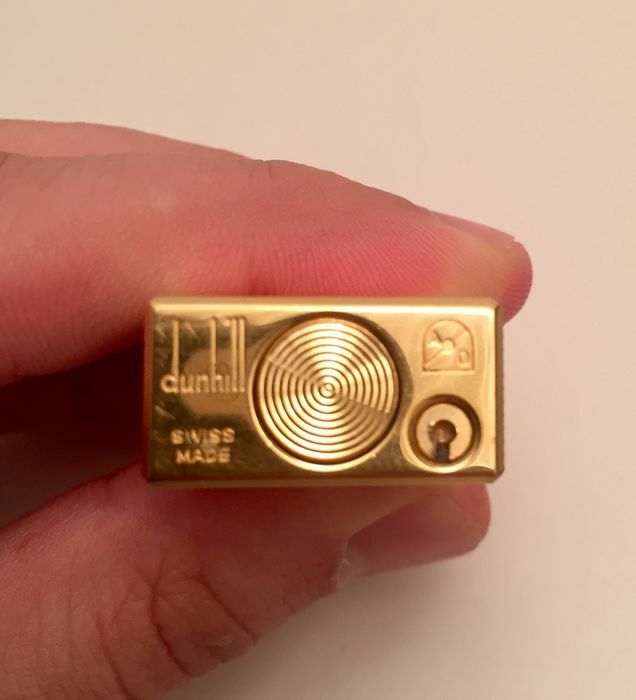 Original box marked Dunhill (as you can see from the photos) included in the lot. 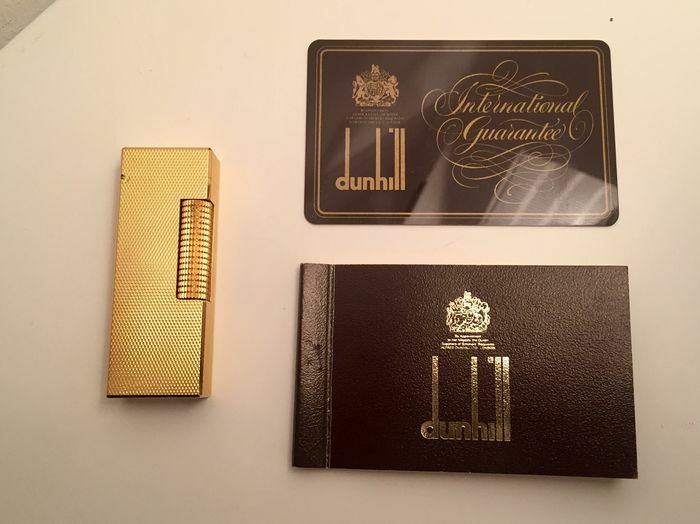 Attached also certificate of authenticity and original instruction booklet in several languages (English, Italian, Spanish, French). 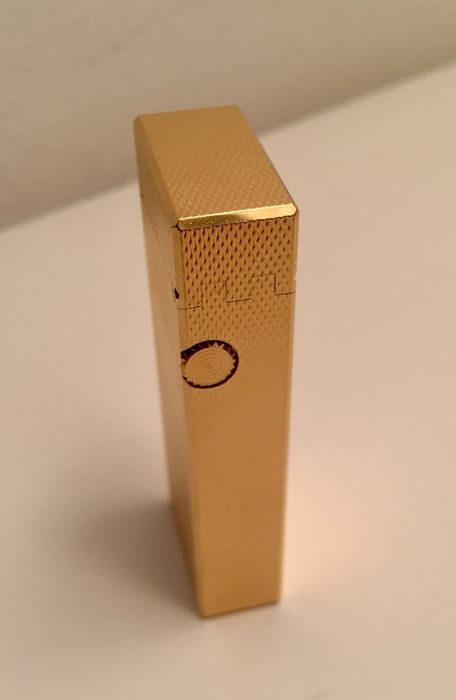 Very good condition, as shown by the photos, regarding the cosmetic condition. 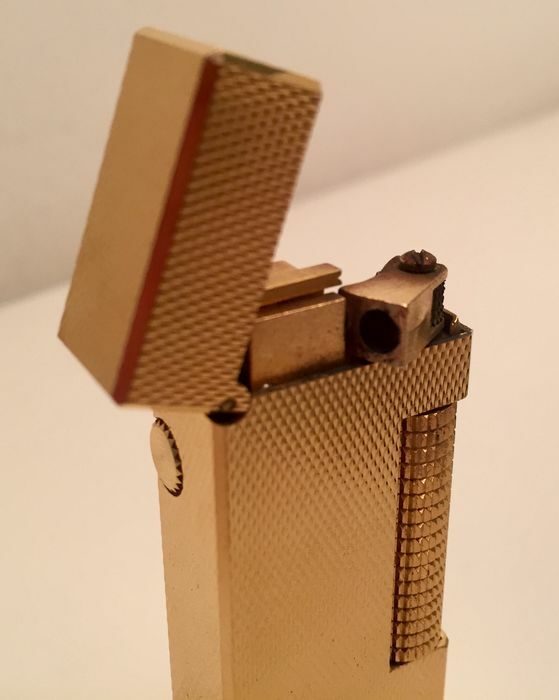 Since the lighter is not used for long time, the flint is missing and it’s empty, likely to be overhauled.